New US betting law will make Canada to fall back? A new law has been implemented in the United States, as decided by the Supreme Court, removing the ban on sports betting, which has been circulating for decades. According to the Court’s ruling, betting will be legally allowed in the majority of states within the US. The old federal laws revolving around the industry being overturned. Single sports betting has been prohibited in all US states, besides Nevada, since the year 1992. So the Court’ decision has come as both surprising and appealing for the local gaming scene. While the new changes come as extremely appealing for USA, Canada seems to have a different perspective on things. With its gaming industry potentially facing a financial lowering, being left behind. With numerous failed attempts of overturning betting ban in Canada as well, the occurrences happening north of the border have only determined gaming associations to continue taking a stand against the strict Canadian regulations on the matter. As statistics show, over 4 billion dollars are being wagered in excess by Canadians yearly with the help of off shore online sites. As well as through organized crime. NDP MP, Brian Masse, has been trying for a long time to replace law on single betting in the country. But has failed to meet its goals on the matter. As he claims, the ban doesn’t stop gamers from pursuing betting in illegal manners. Now, the competition between Canada and the US becomes more ample, basically putting Canada in defensive mode. Masse also addresses how the court’s decision will positively influence the tourism in the US. While affecting it in his country. He continues to discuss about the potential repercussions, such as gambling addiction or even illegal offshore betting. 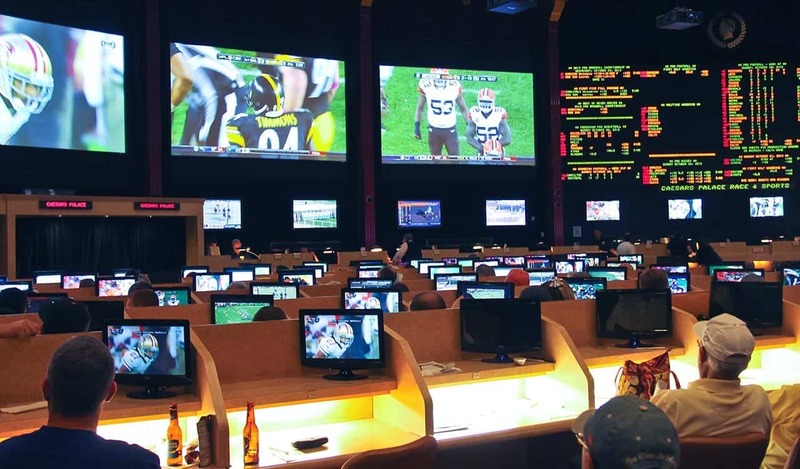 Other specialists also claim, a legalization of single-sports betting in Canada as well could in fact protect the gaming scene from corrupt influences. According to the estimates carried out by the American Gaming Association, US citizens used to wager somewhere around 150 dollars on sports yearly through illegal methods. Now that the legislation has gone through such a drastic change, the national gaming industry could benefit from a variety of financially gains. TV viewership is also said to go up in the future, with people having access to legal game betting. Besides the fall back of Canada, other issues have been addressed that revolve around this new legal implementation. One of the questions raising concerns being the integrity of the games. All sports leagues in the US, including the NHL and NBA have debated that with no betting ban, the performance of the teams might be influenced and affected. And the integrity of the players might be put at risk. Corruption possibilities may also increase in various states, as NHL and NFL representatives claim. Overall, the new change in the United States revolving around the sports gaming industry seem to come with their own set of pros and cons. And it’s separating people into two categories: those who are against the ban removal and those who are supporting it.